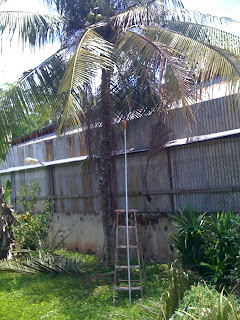 April this year, the family went on a weekend trip to Batu Gajah and Ipoh to visit the relatives and for my wife to catch up with her aunt and sisters. 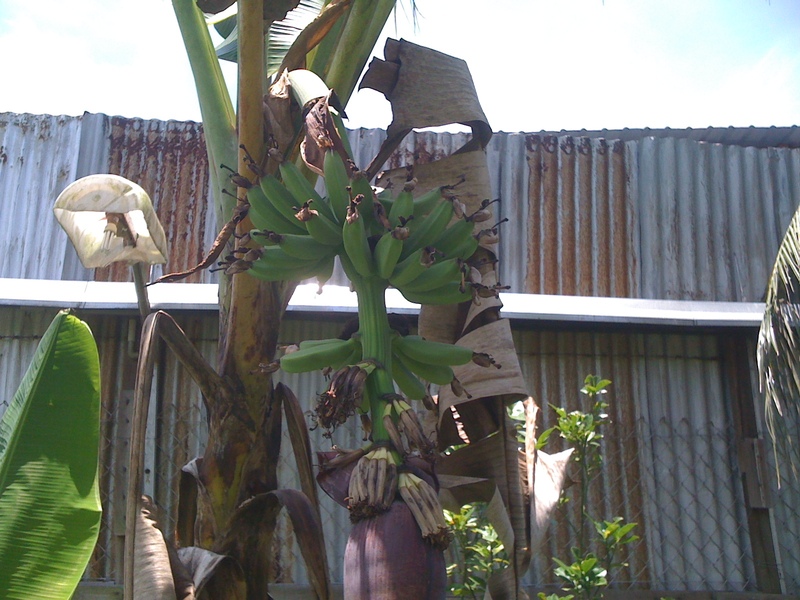 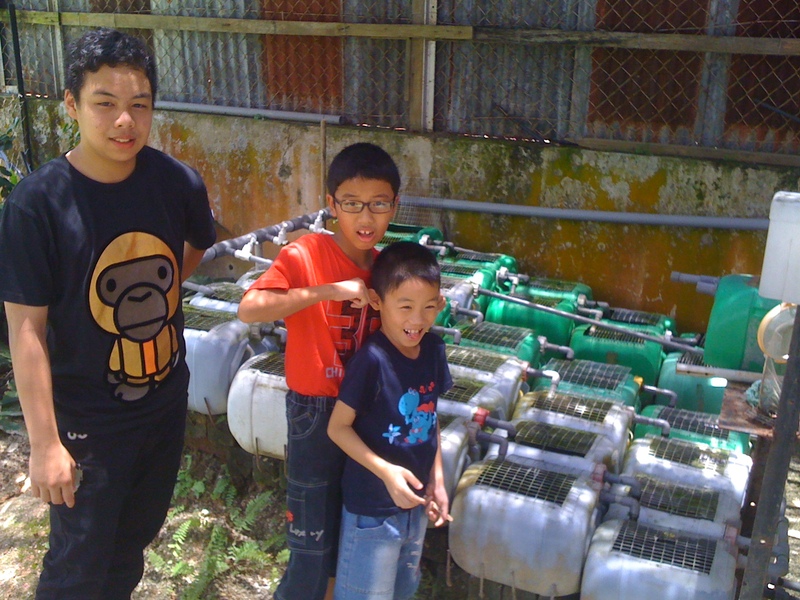 For me and the kids, the highlight of the trip was a visit to my wife's aunty's farm around Seputeh in Batu Gajah. 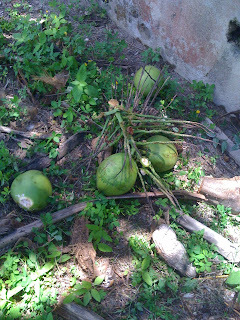 We went there at the right time. 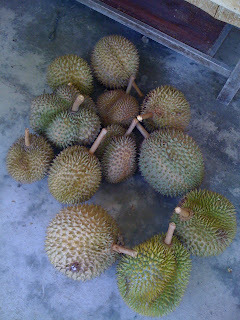 It was the start of the durian season. 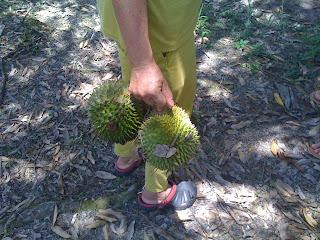 When we arrived at the farm, aunty had already collected 10 durians for us. Durians that ripen and dropped the night before. 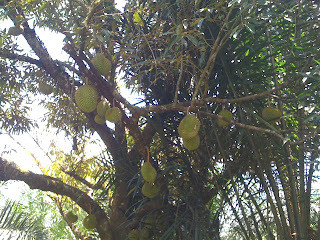 The durians still on the tree waiting to ripen. During this time, it is customary to visit the orchard early in the morning to collect the fruits. While visiting the orchard, we found some more durians that had ripen and dropped. 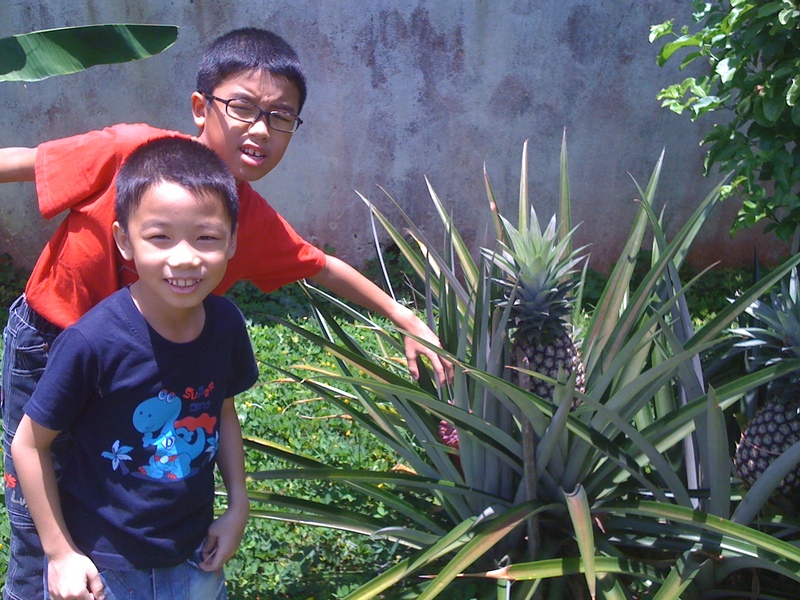 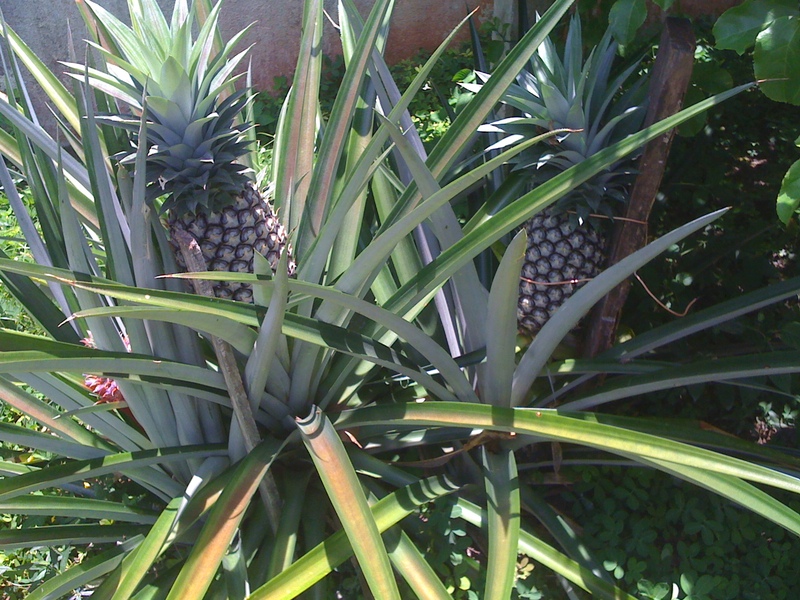 Joel and Jordan had never seen a pineapple plant before. Pineapples that were ready to be harvested. 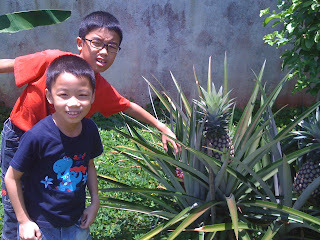 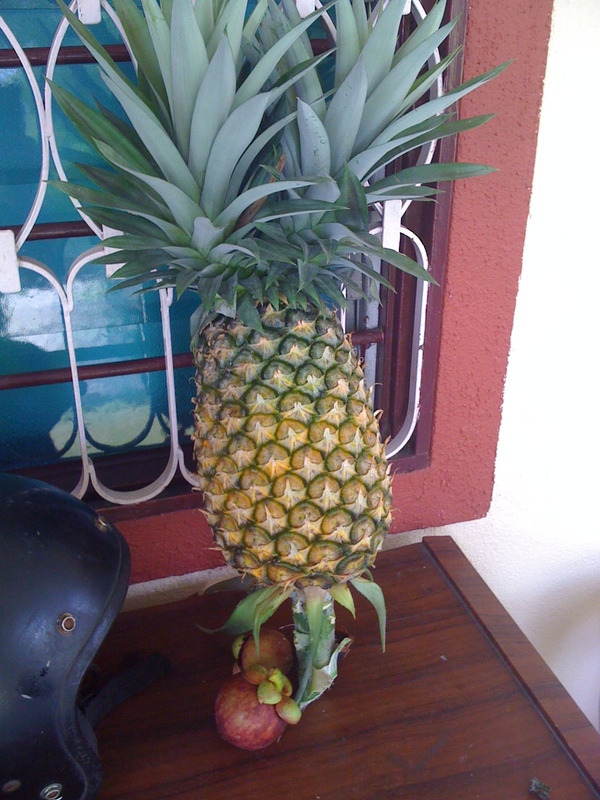 A giant pineapple, that aunty kept for us. 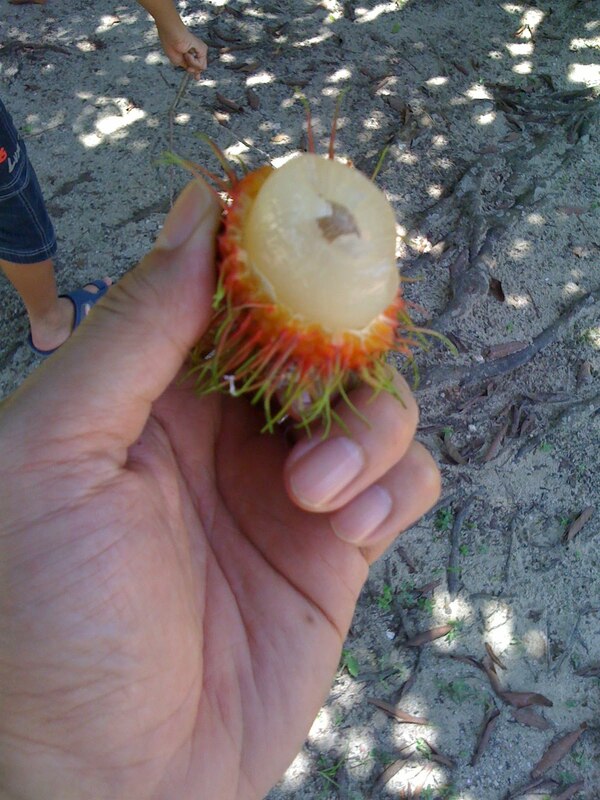 What better way to enjoy rambutan than freshly plucked from the tree. 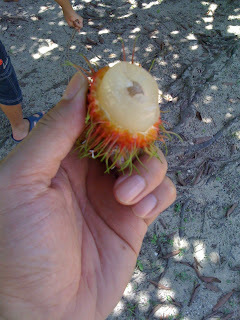 The rambutan fruit was really of the best quality. See how small the seed of the fruit is in comparison to the edible part. 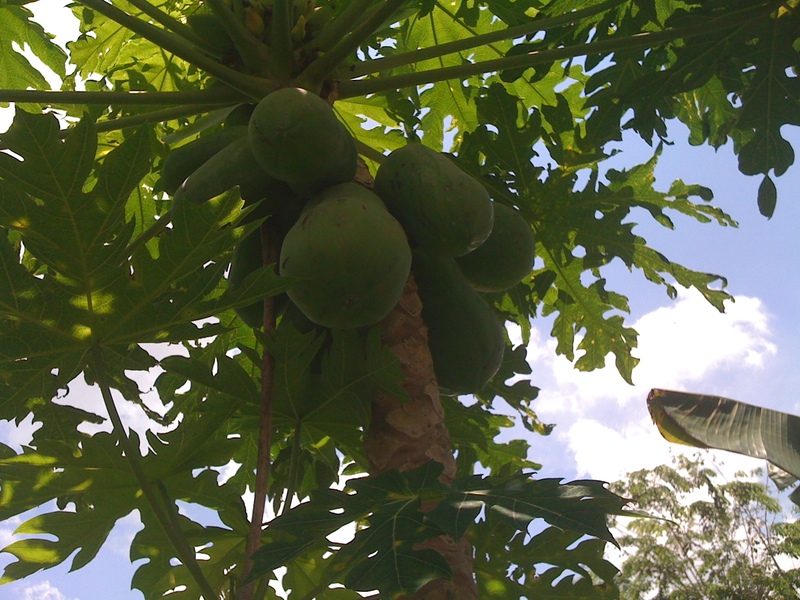 Papayas waiting to be plucked. Joel and Jordan with their cousin checking out the fish nursery. 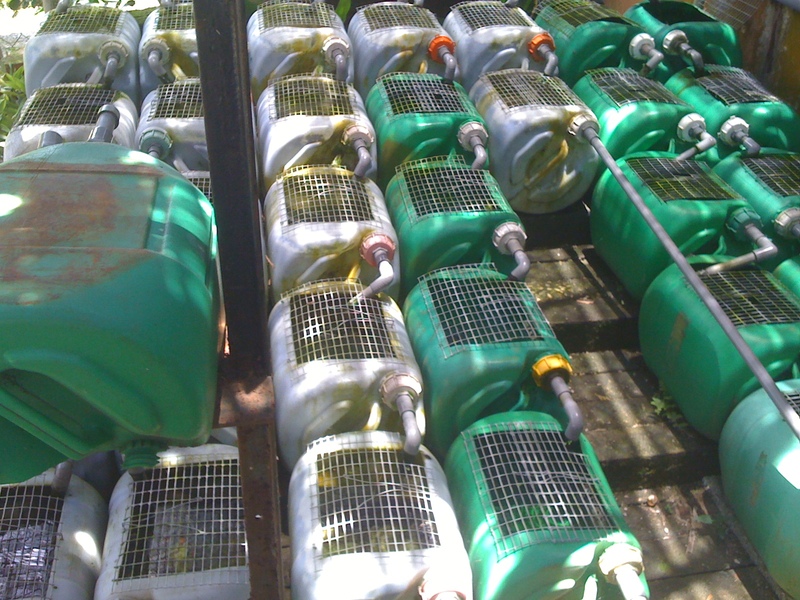 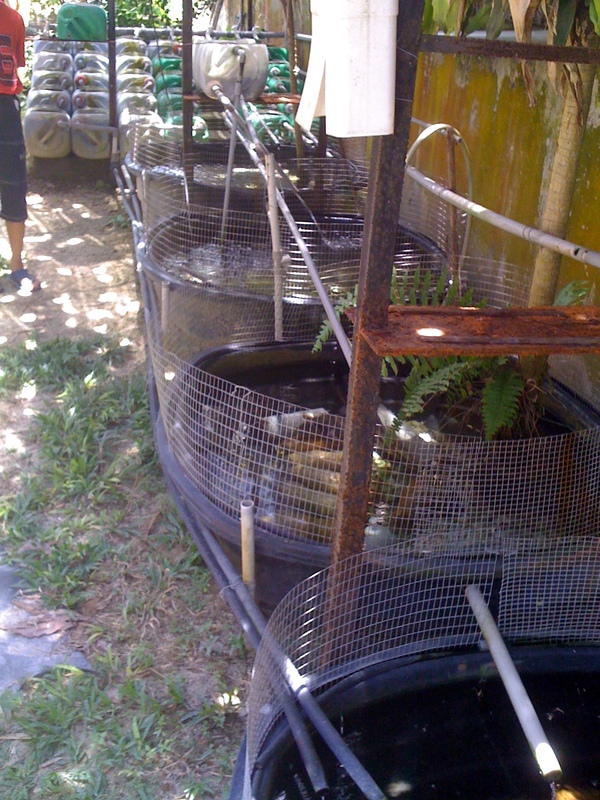 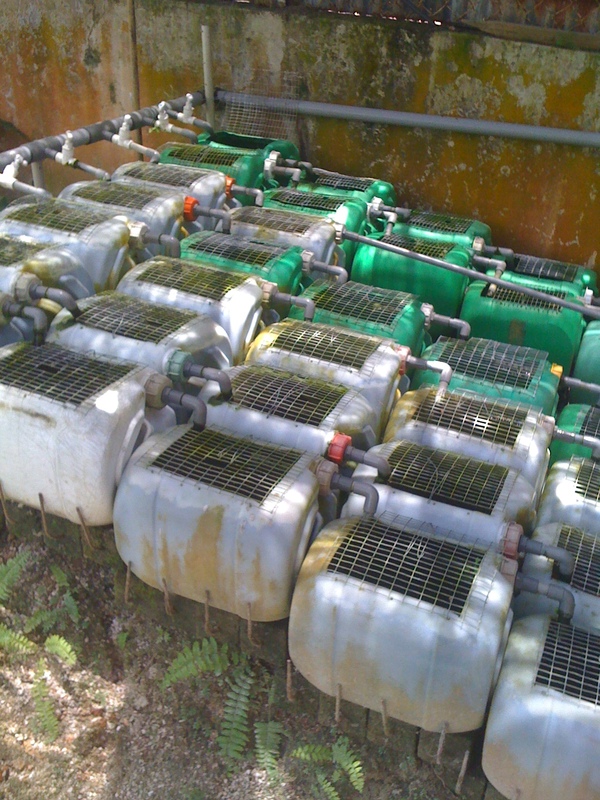 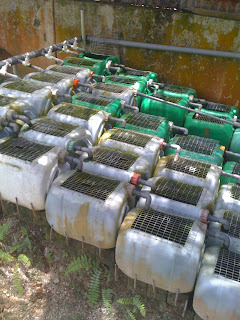 These containers acted as water aeration and filtering system to keep the water fresh for the fishes. Each of this container contain a baby fish. 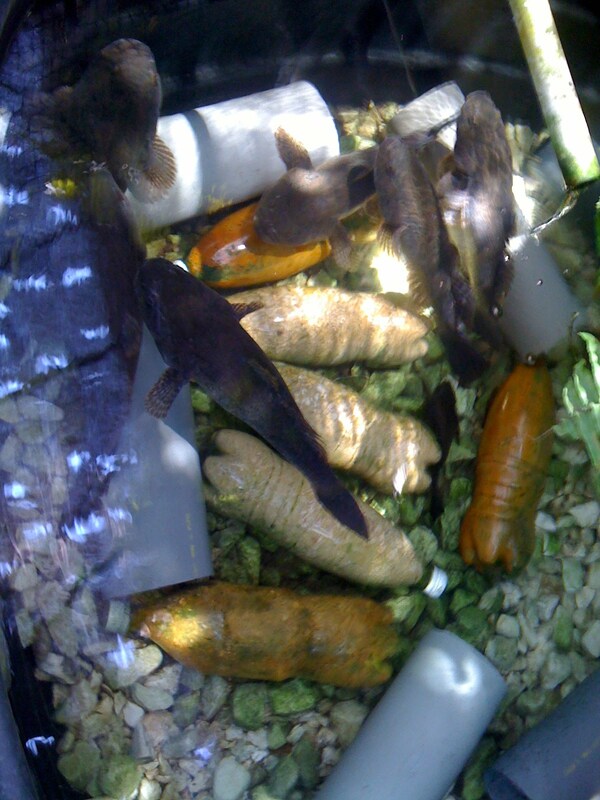 The name of this fish in Malay is called, "ikan hantu", which translates to "ghost fish". I believe the English name is Marbled Goby. This fish is highly prized for it taste and can fetch a high price in the market. The adult Marbled Goby were kept in the larger tank. 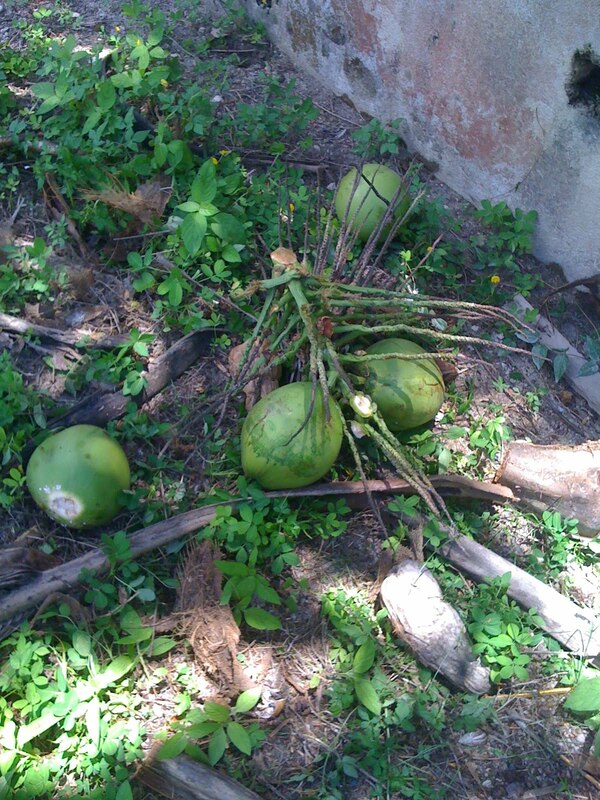 Took me a while to get this bunch to fall. 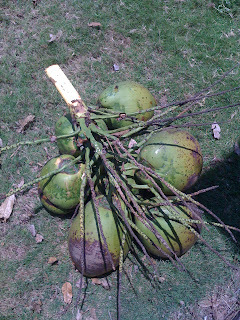 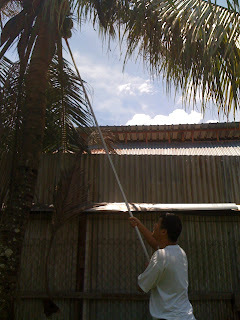 Using a special rod with a saw at the end to cut down the coconut fruit bunches. 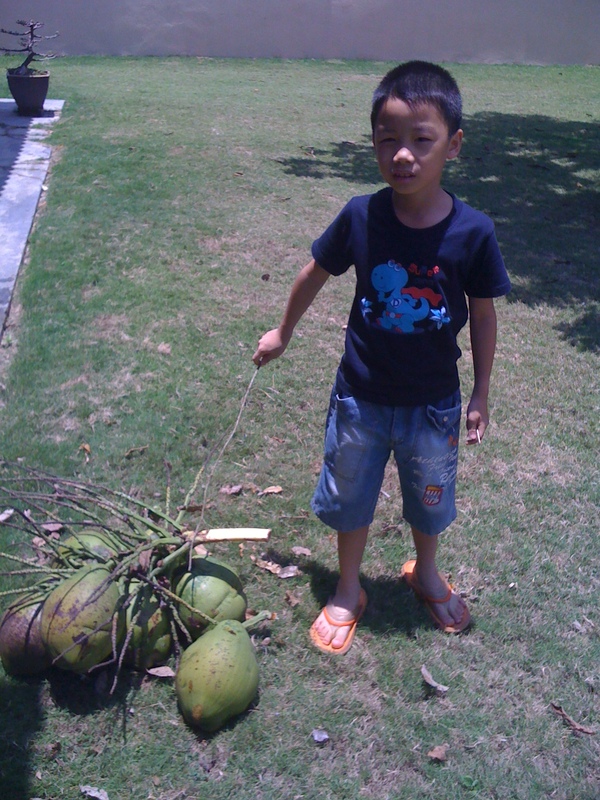 Jordan complaining that he cannot carry the coconuts... LOL. 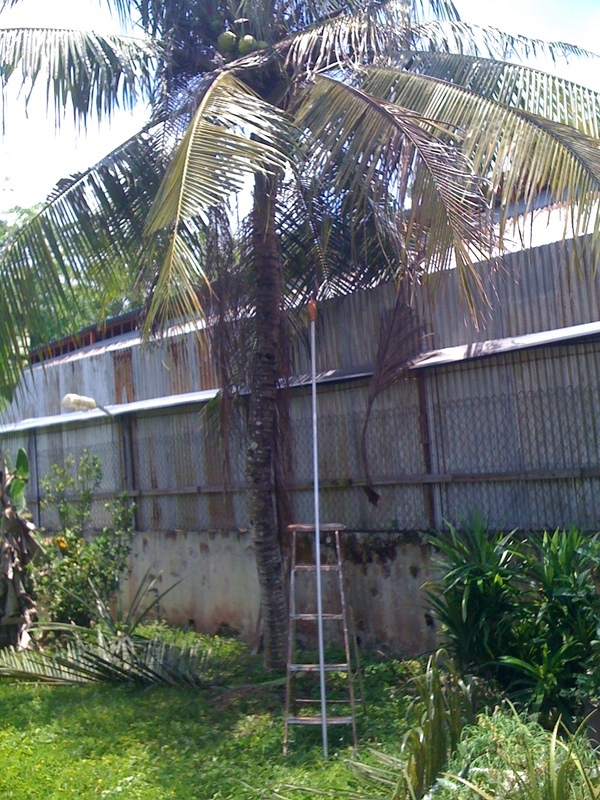 Needed a ladder to reach the coconuts. 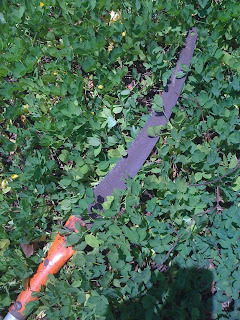 The saw used to cut down the coconuts. 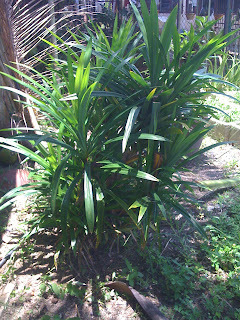 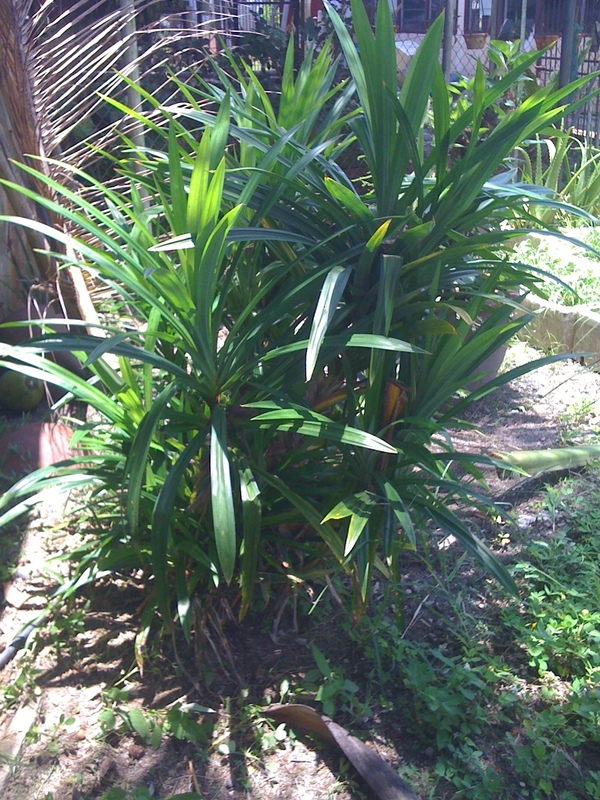 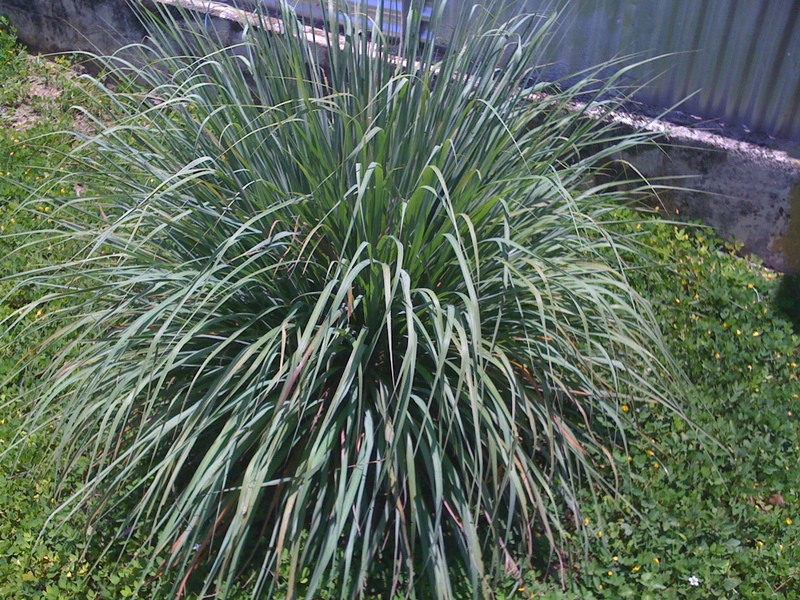 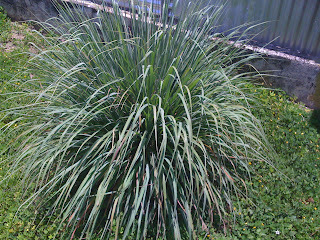 Pandan leaves (Pandanus amaryllifolius) right at the backyard of the house, ready to be used anytime for cooking. 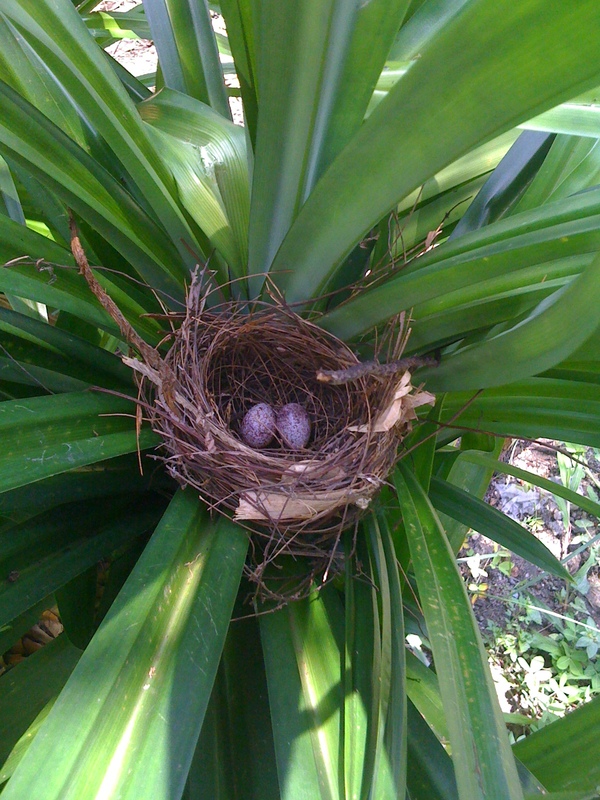 Found a bird nest in the pandan leaves. 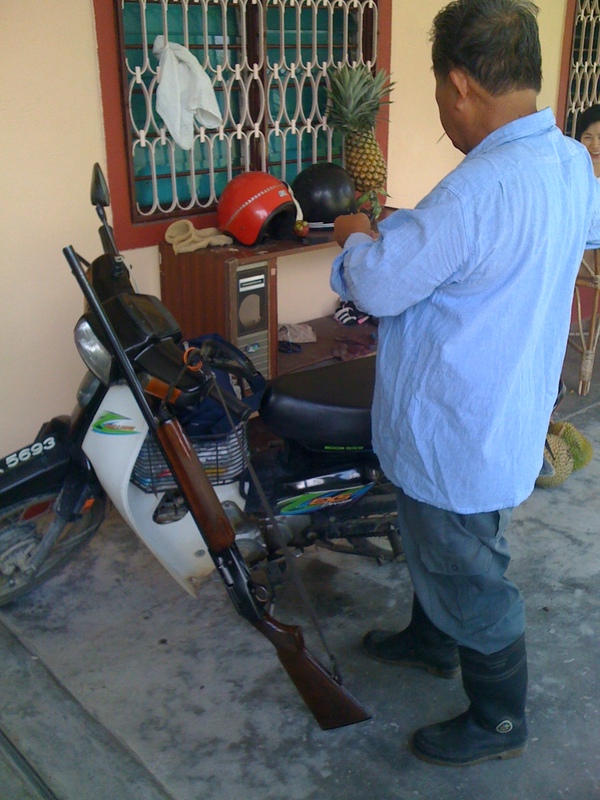 Uncle with his shotgun getting ready to go wild boar hunting. 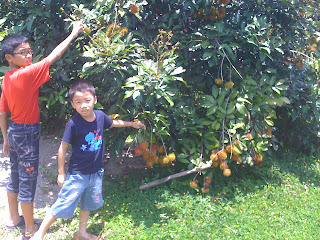 It was great day for the kids and the family to be able to visit the orchard. We were told to go there to collect the durians, but ended up with all kind of fruits to bring back home.